Originally designed to keep shoes from getting jumbled up on the rack, these sturdy steel fences work equally well for tidying up clothing and other odds and ends as well. The "fence posts" slip into 5mm holes drilled into the shelf. The spacing of the posts is compatible with the standard European 32mm (1-1/4") hole-drilling system. 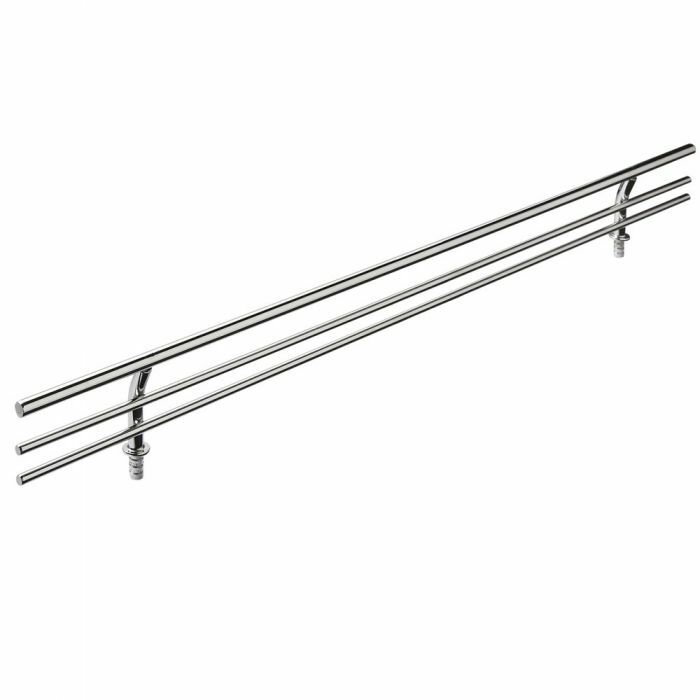 Available in 11", 17", 23" and 29" lengths in a chrome-plated finish. 1-1/2" High.